Write Well Always: JayVon Phillips. Unsigned Artist of the Week. 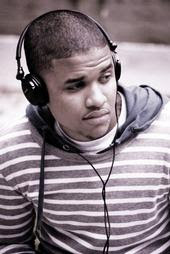 Our Unsigned Artist of the Week is JayVon Phillips from New York, New York. With JayVon Phillips you have a talented singer with a futuristic sound. From a young age, he has followed in his mother's footsteps with his pursuit of music, training with professionals for most of his music career. In his songs, he displays a smooth, and melodic voice while his lyrics are fun yet strong and emotional when they are needed to be. His lyrics range from songs to make ladies dance to the cosmic nature of relationships. My Favorites from JayVon Phillips are "Let it Go" and "Photogenic"